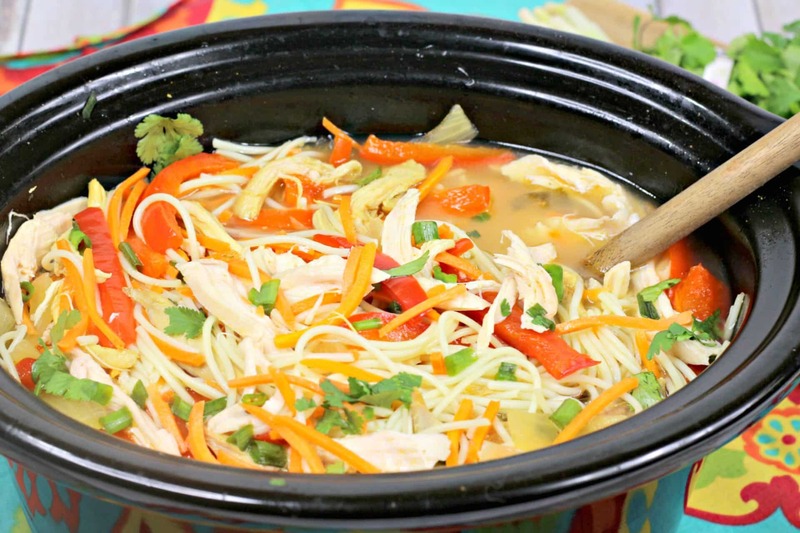 This slow cooker chicken noodles soup recipe just feels like home. It’s the perfect solution for a head cold, a bad day at work, a cold or rainy night, or a work day that went upside down. There’s just something about combining these ingredients that work. They can fix … well, anything! The crockpot is probably one of my favorite kitchen tools. I don’t know how I survived prior to investing in one. Truly! I tend to lean on my slow cooker the MOST when I know I have a busy day ahead of me. It eases up the rest of my afternoon and takes a major to do off my list – dinner. 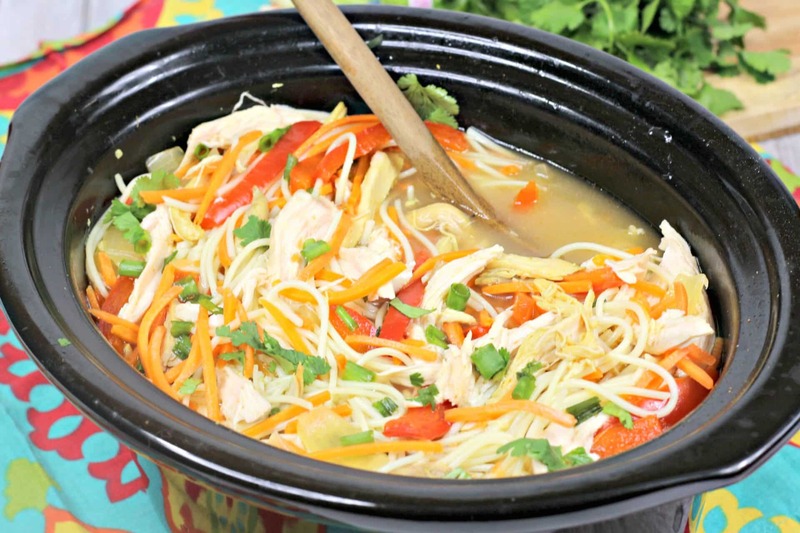 If you are looking for some of that homemade appeal and if you’ve been craving some chicken noodle goodness with a twist, check out this Asian inspired dish that will absolutely wow the crowd. 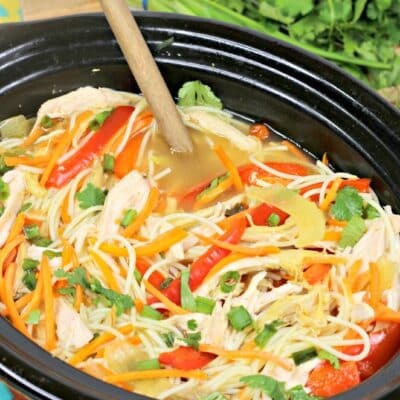 Add olive oil, onion, red bell peppers, carrots, garlic, curry powder, cayenne powder, salt, chicken broth, lime juice, and shredded chicken. Cook for 3-4 hours on high or 6-8 hours on low. Prepare the rice noodles as written on the back of the package. 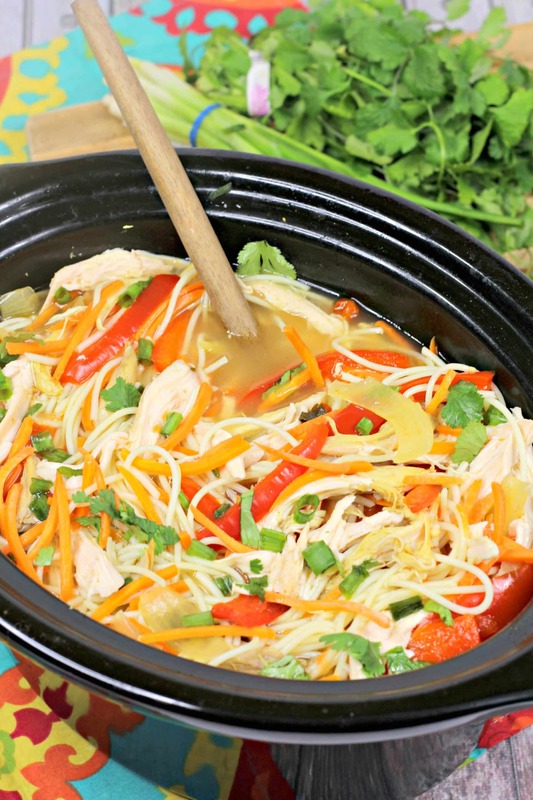 Add rice noodles to your slow cooker. 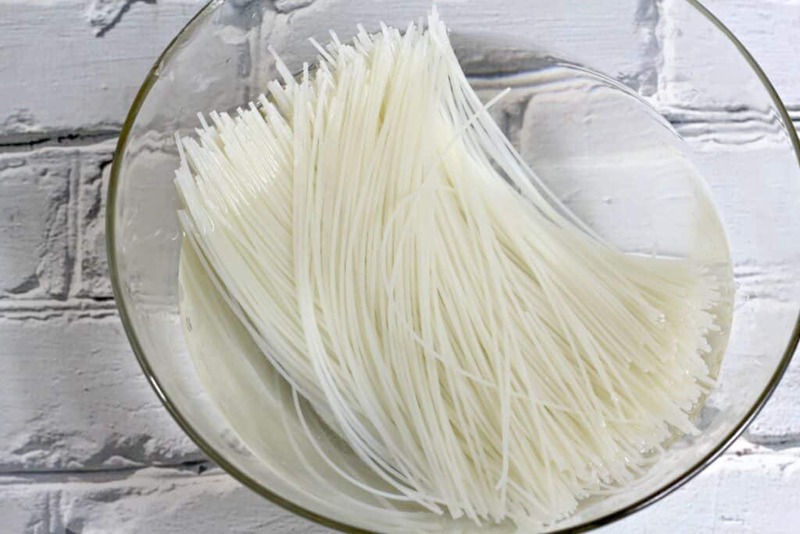 Cook your meal for an additional 1 30 minutes to heat noodles. Prior to serving garnish with cilantro and green onions.